Welcome to the weekly Feature and Giveaway! Every Monday, we’ll be featuring a lovely craftsperson, artist, or artisan – and every week you’ll have the chance to win something from their shop! This week we welcome Devon from Stella and Hodge. 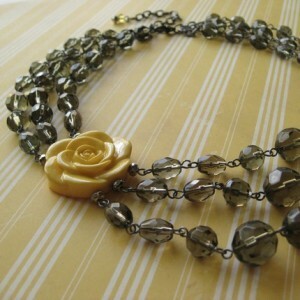 Devon makes a gorgeous range of jewelry, stationery, cards and prints. Where do you live? I live near Minneapolis, MN in the U.S.
What’s your favorite place in the world, and why? I spent time in Barcelona, Spain last summer. I had always dreamed of going there, after studying Gaudi’s architecture in my art history courses. I went there and fell in love. It is such a beautiful city, filled with history and detailed architecture. Charming streets, lovely cafes and friendly people. There was so much to see, and I felt like everywhere you looked there was another thing to discover. Gaudi’s buildings were breathtaking and Parc Guell was magical. Definitely one of my favorite things I’ve ever seen. The detail and color of the city amazed me. It’s such an stunning city. Tell us a little bit more about yourself! For my “day job” I am a graphic designer/illustrator. I have a strong background in product development and packaging design. I’m always working on new projects and different clients and I really love that. And being able to work in a creative environment with other talented creative people is thrilling. Besides that and my etsy shop, I’m a single city girl who loves trying new restaurants and enjoying happy hours with friends. Preferably on a patio on a nice sunny day! I also love traveling and enjoy spending time at my family’s cabin. Canoeing down a lazy river is always fun. I am a huge animal lover. And also a TV and movie junkie. Love my Netflix. I’m always being a creative geek, whether it be watching decorating shows, making stuff or dreaming of new ideas. What did you want to be ‘when you grew up’? I always wanted to be an artist or writer. How did you first get into your craft/art? I grew up writing stories and drawing all the time. I’ve always been fascinated and taken in interest in all kinds of art. I guess when I was younger it was mainly fine art. I loved to paint and draw and my first jewelry-making class was in high school. I went to art school and then my interests expanded into graphic design and illustration. I worked as a graphic designer for 6 years until this horrible economy turned the design field upside down. I recently lost my job. I had been slowly working at starting my etsy shop, but it was challenging with a demanding job. The last thing I found myself wanting to do after getting home from 8-10 hours behind my computer, was sit behind it again at home. But I think sometimes we are put in situations for a reason. They may seem devastating or hopeless, but they can lead us down another path and I feel lucky to be able to explore some other things now. What do you make? Jewelry, note cards and stationery, prints and illustrations are in my shop right now. But my creative mind is always spinning and I’m always coming up with new ideas I want to create. What are you most proud of making? I’m actually most proud of my custom items. I feel they make such wonderful keepsakes and gifts. I have always loved giving handmade customized gifts. They stand out and really make people feel special. Whether it is a painting for a wedding couple to treasure that looks back on their journey or a custom illustration as a baby shower gift. 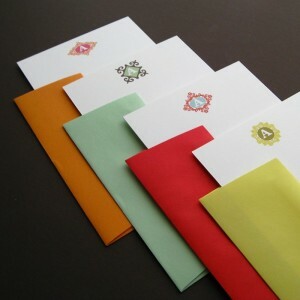 Personalized set of note cards add such a nice touch when sending a note. 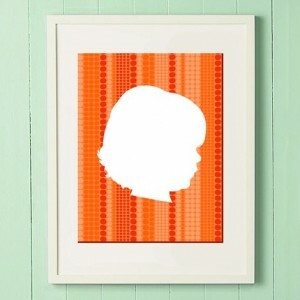 A custom silhouette portrait of your child that you will have as a keepsake forever since they grow up so fast or a necklace that relives a trip, as a token you will cherish. What do you like the most/least about selling your wares online? The thing I like the least is figuring out all the technical things about selling online. Analytics, SEO, Relevancy searches, meta titles, google rank and all that stuff. Ewe. The most: The etsy community is amazing. Sellers are so friendly and willing to help each other. And buyers are so appreciative and thankful. It really makes selling online such a positive experience. If I could make this my full-time job, I would be a very happy girl. Its a wonderful feeling waking up looking forward to your day. Being excited about sales, sharing wonderful conversations, learning, making new friends, being constantly inspired by others, creating pieces you are proud of and sending your pieces off to live with someone else and put a smile on their face when they receive it in the mail. Like they got a little present. I truly am so happy to be a part of this. I love… color and pattern. Where does your shop name come from? I wanted my etsy shop to have a personality behind it. It started with an illustration of Stella in her pretty little dress. She is an illustration I had done a while back and loved. I like the idea of her dress changing pattern and color depending on whether its my business card or my banner in my shop, etc. Growing up I had imaginary friends and pets. So it seemed logical that Stella would have a little playmate too. Her friend/pet Hodge is a cute prickly hedgehog and he represents the hodgepodge of gifts in my shop. This week, Devon is very generously offering the winner a custom set of notecards worth $18USD ! Devon is happy to ship anywhere in the world – so anyone can enter! 1. Visit Stella and Hodge, and come back here leaving a comment about your favourite piece from the store. 2. For additional entries, leave a comment saying that you: followed or subscribed to Epheriell Designs (or already do); have Twittered about the givewaway; have shared the giveaway with friends on Facebook, or; you have written a blog post about it. 3. Entries close next Sunday night, the 12th of July, at 12pm Australian EST. Winners are announced the next day as part of next week’s Feature and Giveaway post. Remember to leave me a way of contacting you.. and Good Luck! The winner of last week’s giveaway – a $25 voucher to spend at Truly Enchanted, is Rosalind from Grace Designs – congratulations! I love 12 pk personalized flat card set. They are so sweet and adorable! 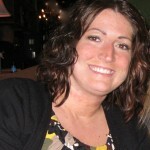 I’m so honored to be featured this week, love your blog! Thank you so much Jess! My favorite would be the Lavender Disc necklace! I love the notecards with the gumballs and cakes. I also like the personalized initial designed paper. I love your daily mughot on the right. I love the sewing notecards set. Such a gorgeous shop…it was very difficult to choose just one. I can’t pick just one! Love the triple picaso necklace, and the cute as a button earrings! So cute!! I love this 12 pack of notecards, they’re perfect! The custom initial prints-fancy initial are so very cute – my pick for sure! I really love the sewing cards, they are gorgeous and I can imagine giving them to the ladies at work! I think the yellow rose necklace is the prettiest in the shop (and I’m not a yellow fan- it would be gorgeous in red or white I think) and all the paper goods look like candy so I would have to say any of the personalized ones! 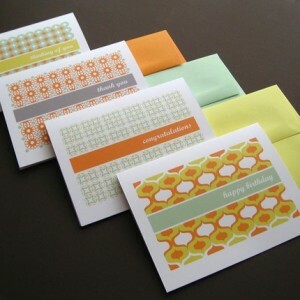 I like the Thankyou Card set – love florals. I love these thank you cards.